Have you ever looked at your fingernail clippings and wondered if they could somehow cure cancer, HIV, or malaria? If so, then I’ve got some important news for you: Stop wondering. They can’t. 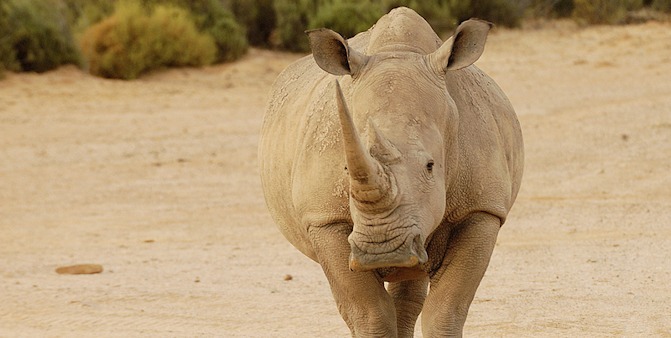 Human fingernails are made of a protein called keratin; rhino horns are comprised of it too. There’s no scientific evidence to show that rhino horn is any kind of a wonder drug, but many believe otherwise. The substance is valued in parts of Asia for its supposed medicinal properties, and that’s motivating poachers to pursue the animal. Their methods can be gruesome. To avoid the attention created by a gunshot, some poachers are using tranquilizer darts instead. The rhino is immobilized long enough for its horn to be hacked off but remains alive. Later, it awakens to a horrifically disfigured face and an agonizing death. HBO’s VICE has documented the practice, and you can see video footage of it here. While most would agree that torturous violence is inhuman, not all of its victims are. In America, human beings are regularly stabbed and dismembered at abortion clinics, while others are snuffed out shortly after birth. And although the federal government is working to halt the slaughter of rhinos in Africa, it isn’t as concerned about torture killings here. In fact, it’s helping to pay for some of them. According to the Guttmacher Institute, over ten thousand abortions are performed every year following the twenty first week of pregnancy. By that point, a preborn child has developed eyes, limbs, and, according to some evidence, the ability to feel pain. The abortion industry doesn’t do that. 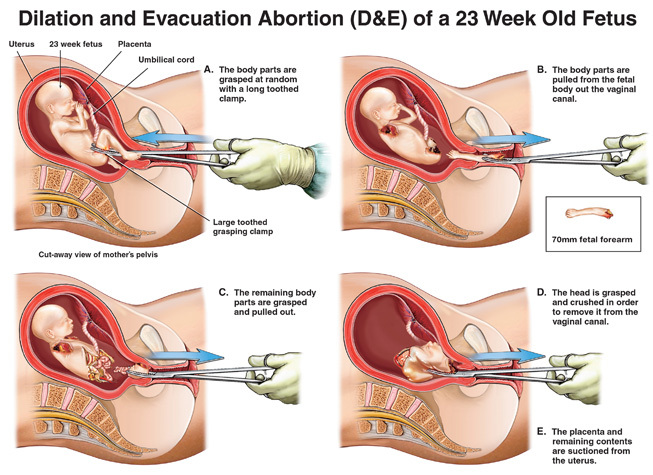 Second trimester abortions usually involve a technique known as D&E (Dilation and Evacuation), which consists of using forceps to dismember the child the child and pull her out one piece at a time. Not that grisly deaths only occur in the womb. Live Action volunteers have visited multiple abortion facilities with hidden cameras. Pretending to be in search of late-term abortion services, the women asked what happens when children are inadvertently born alive. The answer? They don’t stay that way. A clinic employee in New York City stated that the infants are drowned. Washington, DC’s Dr. Cesare Santangelo was caught admitting that he doesn’t render assistance to surviving newborns. Visits to clinics in Arizona and New Mexico also yielded disturbing admissions. What’s being done about all of this? Not much. The federal Born-Alive Infants Protection Act is supposed to defend those who survive abortions, but enforcing it hasn’t been much of a priority. On May 15, 2013, US Attorney General Eric Holder admitted to the House Judiciary Committee that he couldn’t name a single instance in which the law had been enforced. That admission came just two days after Dr. Kermit Gosnell was convicted of killing multiple newborns at his Philadelphia abortion clinic. Earlier this year, pro-lifers in Congress tried to pass legislation to curtail late-term abortions. Known as the Pain-Capable Unborn Child Protection Act, it would have banned most abortions after twenty weeks. Unfortunately, bill was sidelined thanks to to nervous GOP members who don’t want to push the issue. You can help address that situation by signing Live Action’s petition asking that the abortion industry be held to the law. You can also ask for an end to the annual half billion in federal funding for America’s largest abortion provider, Planned Parenthood. Finally, you can contact your Congressional representatives and urge them to pass the Pain Capable Unborn Child Protection Act. It’s great that the government is working to fight poaching; Africa’s rhinos don’t deserve to die in agony. Neither do America’s children. Unfortunately, not everyone on Capitol Hill seems to have gotten the message. That’s something pro-lifers need to change.